Murray Gene Sneed Jr passed away Thursday morning April 23, 2015 in his home surrounded by his loving family after losing a short battle with cancer. Murray was born April 4, 1946 to Murray and Dessie Sneed in Springfield, MO. He was a graduate of Hillcrest High School and Drury University. He worked in sales for Maytag and at the time of his death, was serving as a consultant for Permco Inc, where he worked for the past 26 years. Murray loved his family above all else. He and his wife Paula were married for 43 years. They raised 3 beautiful children together-Todd, Michelle, and Jason. 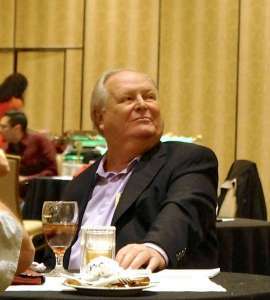 Murray enjoyed working on his farm, vacationing with friends and family, and having cocktails with best friends Curt and Debbie Padgett. Murray was a “Spicy” man with a huge heart and huge personality. No one ever had to guess what Murray was thinking. He left this world surrounded by love and will be so very missed. Murray is preceded in death by parents Murray and Dessie Sneed and a niece Sarah Jo Sneed. Survivors include his wife Paula; daughter Michelle Jagears (Dan); sons, Todd and Jason; grandchildren, Gabby and Mason Jagears; brother Scott Sneed (Carolyn); sisters Beverly Gray (Dana), Brenda Sneed, Linda Zongker (Wes); nieces and nephews, Will Gray (Monica), Rich Gray (Alaina), Kristy Bright (Jason), Tyler Zongker (Jodie), Kenzie Zongker; great-nieces Brooklyn and Mylie Bright and Elliot Gray. The family would like to thank family and friends for their continued love, support, (and all the good food). Thanks also to Hospice Compassus- especially nurse Laura Germann. Memorial services will be Tuesday, April 28, 2015 at 4:00 pm at The Venues, 2616 E. Battlefield Rd., Springfield, MO 65804, under the direction of Gorman-Scharpf Funeral Home.